Tests are an essential part of a child’s education. Measure your child’s comprehension in science and show him areas that need to be worked on versus the areas that he excels in. With precise wording and clear instructions, your child will have no problem understanding what is expected of him on each science test. The test questions come in a number of different forms including multiple choice, matching, short answer, true or false, and essay questions. 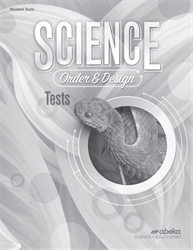 Help your child reinforce the concepts of understanding the miraculous world or science with the twelve tests in this book.